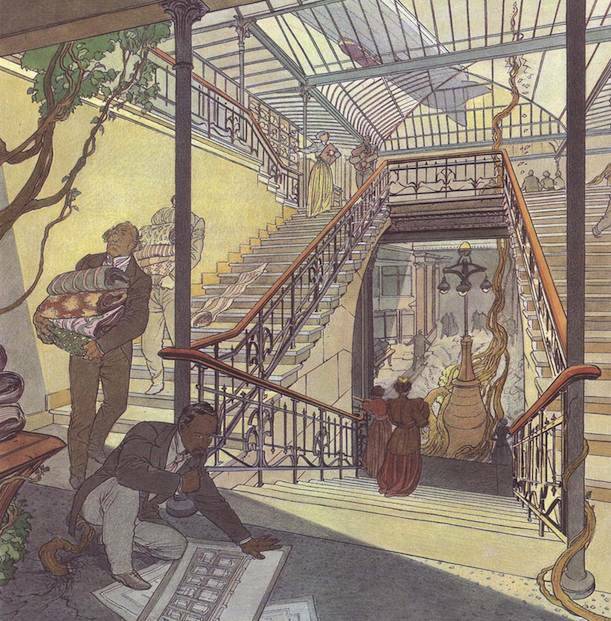 Centre belge de la bande dessinée (Belgian Center of Cartooning) is inaugurated in Brussels in 1988 AD, in the former Waucquez Stores building, designed by Victor Horta. It seems that a perfect copy on the Obscure side is still devoted to commerce. Both buildings include a central hall in the middle of which stands a remarkable streetlight 1). This odd item has been reproduced on a large scale for the Green Lake Festival 2).